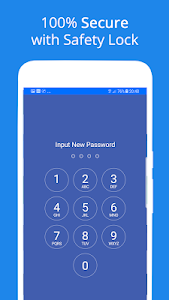 Ultra Fast App & Security Lock for Messenger Plus is the ultra light app for facebook messenger along with great in-built security lock. 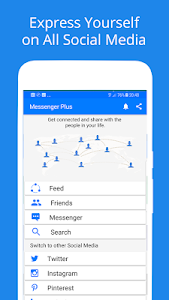 Messenger plus is the lighter version of Facebook, twitter, Instagram, LinkedIn, Pinterest, Reddit. Access all these social networks in one single app along with security lock. 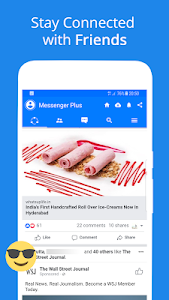 The app installs faster than ever with less than 2.5MB this is the ultra lite app for Facebook messenger, Twitter, Instagram, Reddit, Pinterest and LinkedIn etc. ★Works with 4G,3G,2G Data and wi-fi ! ★Video downloader for Facebook and Twitter. 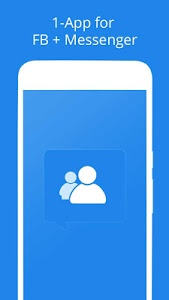 -The app has an inbuilt messenger, you can call, message to your Facebook friends. No need 2 separate apps! 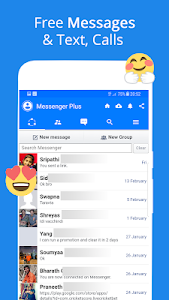 -Free, lightweight alternative for Facebook Lite, Facebook messenger lite which allows you to chat with your Facebook friends, send emoticon, videos, images, gift, browse news feed, comments, etc..
-Intergrated news feed, chat (messenger)... all in one Messenger For Facebook for Facebook apps. 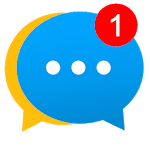 Similar to "Free Messages, Video, Chat,Text for Messenger Plus"